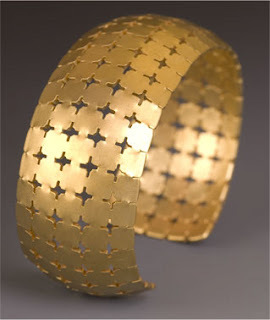 Love unique jewelry but desire something made of real metals? Something to withstand the banging around from day to day? 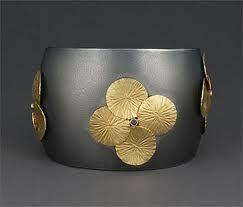 Then you need contemporary jewelry by Taos artist Maria Samora. Her unique stylings will be all anyone can talk about when they see her work. Not only is she immensely visionary- this lady can execute- and she’s an all around lovely person. Once you own something by Maria- you’re hooked. She also does items for men and unisex items. This girl has about 6 items. What’s not to love? I’ll take one of everything. 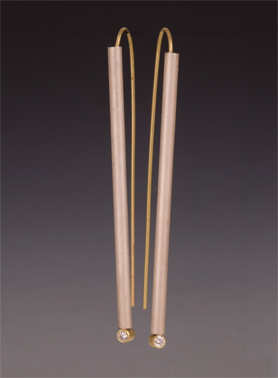 This entry was posted in Uncategorized and tagged jewelry, native, sturdy by katebcrowley. Bookmark the permalink.